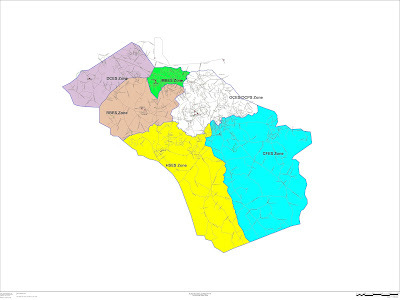 The Board of Education is expected to adopt a redistricting plan on Nov. 13. The plan released on Monday affects only two of the county’s five existing elementary school districts. 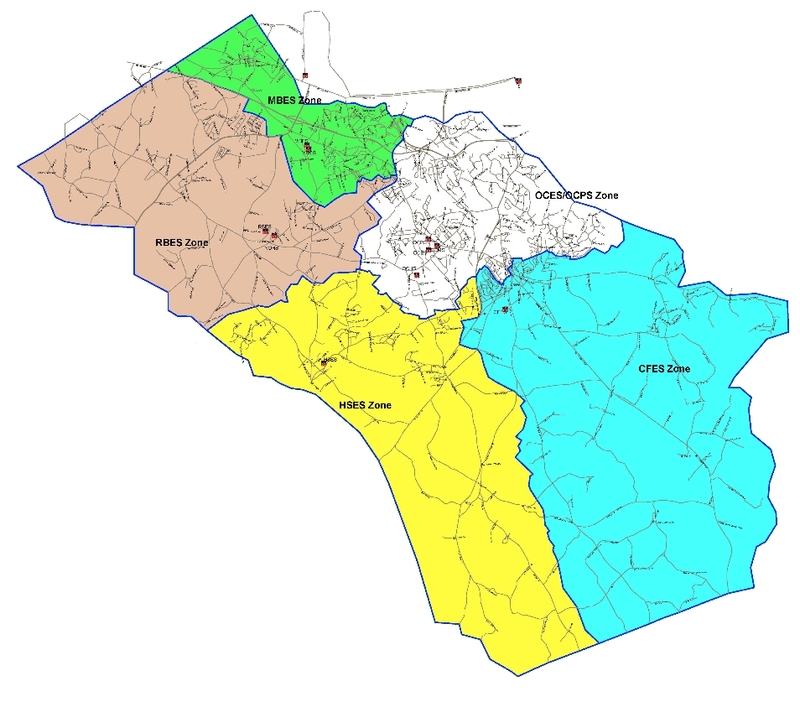 The parts of the Rocky Branch Elementary School District and of the Malcom Bridge Elementary School District northwest of U.S. 78 would become the Dove Creek Elementary School District. Dove Creek Elementary is under construction on Hog Mountain Road west of U.S. 78. Some students currently in the Malcom Bridge Elementary School District would be moved to the Rocky Branch Elementary School District. Despite the proposed changes, students moving into the fifth grade would be able to stay with their current schools if their parents provide the transportation. 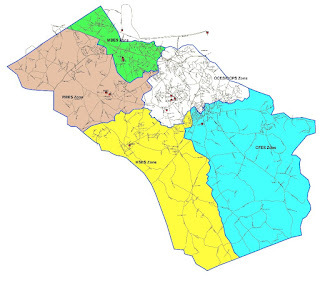 The Board of Education had adopted a Redistricting Timetable back in February, but Brook Whitmire, chief human resources officer for the School System, gave the first public presentation of the proposed district map at the Board’s regular meeting on Monday. Whitmire told the Board that the system has 7,716 students enrolled, with 3,339 of them in the county’s one primary and five elementary schools. The 7,716 figure does not include 65 to 67 Pre-K students, Whitmire said. The agreed-upon maximum size for an elementary school in the district is 750 students, Whitmire said, and Malcom Bridge Elementary School this year has 646 students and Rocky Branch Elementary School has 768 students. Colham Ferry Elementary School has 558 students and High Shoals Elementary School has 531 students, according to the figures Whitmire presented to the Board. Malcom Bridge, Rocky Branch, Colham Ferry and High Shoals all have K to 5 students. Oconee County Primary School, with Pre K to Grade 2 students, has 378 students, while Oconee County Elementary School, with students in grades 3 to 5, has 458 students, the Board was told. Whitmire is projecting that Dove Creek will have 488 students when it opens for the next school year. Oconee County Schools grew at 3.5 percent this year, Whitmire said, with all schools experiencing growth. The growth is exceeding expectation, he added, culminating in a projected growth between 2017 and 2027 of 38.7 percent. By 2027, based on the projections Whitmire offered, Malcom Bridge Elementary School–without the new Dove Creek–would reach 1,126 students, Rocky Branch would be at 1,093, and High Shoals Elementary School would be at 733. The 2016 Education Special Purpose Local Option Sales Tax, which voters overwhelmingly approved, “as a centerpiece had the construction of a new elementary school to accommodate growth,” Whitmire reminded the Board. Dove Creek Elementary School, under construction on Hog Mountain Road between Osborne Road and Dewey Road near the Barrow County line, is the outcome of that vote, he said. Claire Miller, chief academic officer for the School System, reported that the ACT college entrance scores for September were the highest ever recorded for the system and exceeded targets set by the schools. The Oconee School System also outperformed the state and national averages, Miller said. Miller also said that the results of 2016-2017 administration of the Georgia Milestones Assessment System showed that Oconee County Schools outperformed the state on all of the assessments. Georgia Milestones Assessment System is a comprehensive program for grades 3 through high school that measures how well students have learned the knowledge and skills outlined in the state-adopted content standards in English Language Arts, mathematics, science, and social studies. Miller also reported on an August 22, ESOL (English-to-Speakers-of-Other-Languages) Parent Meeting at the Civic Center. Miller said 29 languages are represented in the county’s schools, with Spanish dominant after English. In the Superintendent’s Report at the beginning of the meeting, Superintendent Jason Branch said the schools had very little damage as a result of the storms linked to Hurricane Irma. Branch said he is still exploring whether the schools will need to make up the two cancelled school days or whether extra instructional time in the calendar will accommodate the days. Branch’s report was followed by a presentation by Lynn Cain Wood, president of the Oconee County High Schools Alumni Foundation, of two $1,000 checks, one for Oconee Primary School and one for Oconee Elementary School. The money is for support for STEM (Science, Technology, Engineering and Math) Labs at the two schools. The Board also recognized members of the Girls Track, Boys Tennis, and Girls Tennis teams at North Oconee High School. The packed Board Room emptied significantly after these presentations. I attended the Board of Education meeting on Monday and made the video recording of the meeting that is below. Discussion of the redistricting proposal by Whitmire begins at 40:16 in the video. The Teaching and Learning Report by Chief Academic Officer Miller begins at 27:40 in the video. Superintendent Branch’s report begins at 1:03 in the video. The recognitions section of the meeting begins at 6:09 with the Oconee County High Schools Alumni Association presentation. The North Oconee High School recognition begins at 10:40 in the video. OCO: BOE 9 18 17 from Lee Becker on Vimeo.